Mark Calaway is a professional wrestler and actor best known by his ring name "The Undertaker" and for his macabre and supernatural persona. He is widely considered to be one of the greatest professional wrestlers of all time. He started his wrestling career in 1984 wrestling for World Class Championship Wrestling (WCCW). He also wrestled for World Championship Wrestling (WCW) before joining the World Wrestling Entertainment (formerly World Wrestling Federation) in 1990. From 1989 to 1999, he was married to his first wife, Jodi Lynn. They had a son together. He married his second wife, Sara in 2000. The marriage produced two daughters and ended in 2007. His third marriage was to former wrestler Michelle McCool. The couple welcomed their first child together in 2012. While attending high school, he was a member of the school’s basket ball team. He won his first World Heavyweight Championship when he defeated Batista at WrestleMania 23 in 2007. The Undertaker performing a Tombstone piledriver on Zack Ryder. 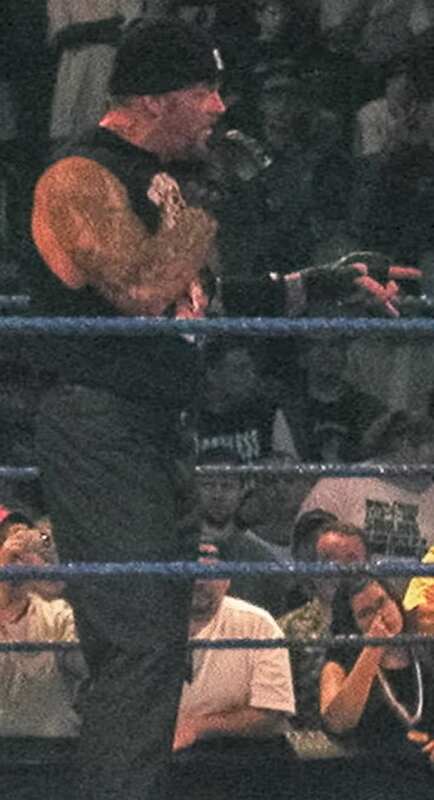 Mark Calaway is a famous American wrestler, who was born on March 24, 1965. As a person born on this date, Mark Calaway is listed in our database as the 1st most popular celebrity for the day (March 24) and the 1st most popular for the year (1965). People born on March 24 fall under the Zodiac sign of Aries, the Ram. Mark Calaway is the 4th most popular Aries. Aside from information specific to Mark Calaway's birthday, Mark Calaway is the 35th most famous American and ranks 121st in famous people born in Houston, Texas, U.S. In general, Mark Calaway ranks as the 59th most popular famous person, and the 3rd most popular wrestler of all time. “The Famous Birthdays” catalogs over 25,000 famous people, everyone from actors to singers to scientists to serial killers and more. If you're curious to see who was born on your birthday, you can use our database to find out who, what, where, when and why. You can search by birthday, birthplace, claim to fame or any other information by typing in the search box, or simply browse our site by selecting the month, the day, the horoscope, or any other clickable option. 121st born in Houston, Texas, U.S.